Pulau Weh or Weh Island is major attraction to tourists. The sea around the island is very clear, perfect for swimming, snorkelling, and diving. You can spend your evenings enjoying grilled fish and, again, Acehnese coffee. Iboih and Sumurtiga are the places to find accommodation. Dive centers are available in the island. 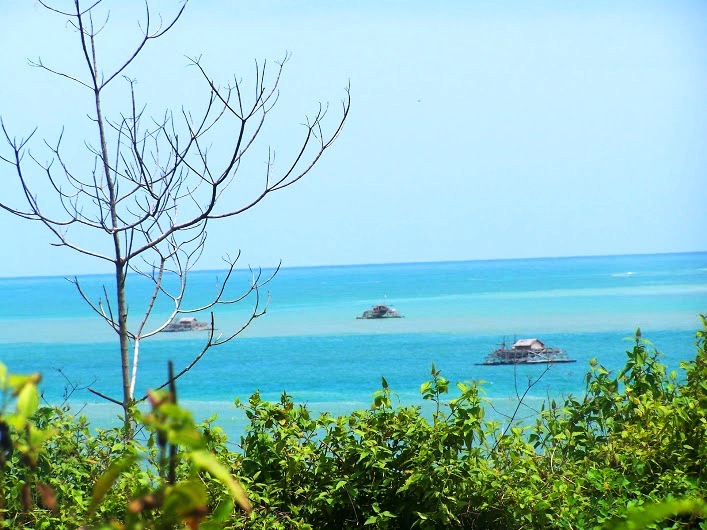 Pulo Aceh is another series of small islands off Banda Aceh. Pulo Breueh and Pulo Nasi are the ones inhabited. Here you cannot find hotels but you can always ask locals to provide you rooms to rent. Alternatively you can stay in Pulau Weh and have a day trip around Pulo Aceh. 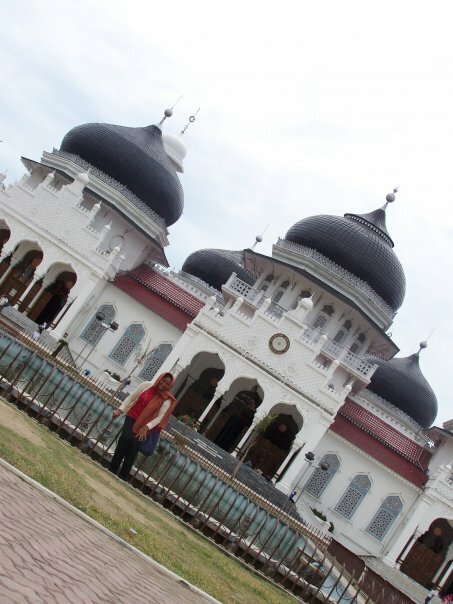 Aceh Grand Mosque should not be missed. Located in the heart of Banda Aceh, Baiturrahman Mosque is the center of the city’s life. It is grand, beautiful. You have to dress conservatively, in an Islamic way! You may want to experience Acehnese daily life by visiting Pasar Aceh (market) just beside the mosque. Another mosque you may want to visit is in Lampuuk. This mosque stood strong amidst the giant waves that shattered its surrounding. You may visit the mosque on the way to the beach, just be respectful! One place you probably interested in is a Dutch cemetery from colonial era. Honestly, I passed this place for so many times but never stopped by. Many visitors are from the Netherlands, visiting their ancestors buried in the Land of Rencong. Have I told you that the disaster has also a glimpse of blessing in disguise for the future of Aceh tourism? It is certainly. One favourite object is PLTD Kapal Apung, a hugh electricity-generator ship that washed away 3 km from the seashore. It is impossible to move the boat. Now the massive boat is standing in the middle of newly-built houses. I remember that during 2006-2008, I’ve taken journalists from the UK, France, Spain, the US to visit the boat. All were very impressed. I was and I still am. Aother sight is in Lampulo, not far from the fish market. Here, a fisherman’s boat is stranded pn the top of a house’s roof. It becomes a monument, its photos have circulated by the media worldwide. Mass graveyards are another thing. Be respectful to the dead, be respectful to the living. They are only a small piece of my memory about Aceh. Next year, I will make my comeback and have a full report. Let’s go to Aceh with love. Please tick “notify of follow ups comments via email” if you wish to leave comments or queries so you’ll be notified when we reply. Thanks. Previous PostBeribadah Umrah Membawa Bayi, Sedikit Repot Banyak BarokahNext PostWHY ON EARTH GO TO SOUTHEAST ASIA? Am i going to be famous after this? sing difoto kabotan dadi mereng…. di blogku juga banyak. Hehehe..